What makes our locksmith company the best in Texas is its ability to offer excellent locksmith services, cover the needs of all people, provide 24 hour assistance and prevent problems with amazing solutions. We have a professional team that care to keep you secure. 24/7 locksmith services / Local company servicing homes, offices and vehicles! 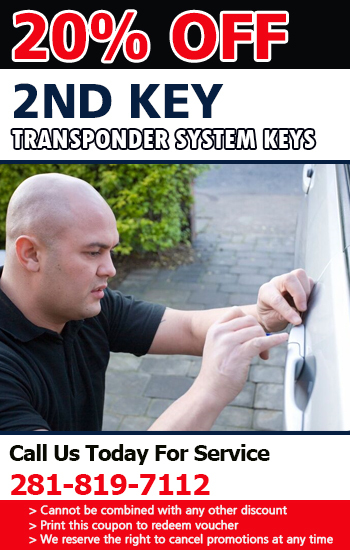 We are the company that aims to provide unparalleled locksmith services. You can count on us for you auto, residential and office lock and key concerns. Our technicians will make sure that you get the help that you need on the same day. Door lock concerns should only be taken care of by experts as this plays a huge role in the security of properties. “Locksmith Westwind Houston” understands how important it is for your door security to be setup properly. This is why we hire only skilled and experienced technicians to implement the work. They know how important it is for locksmith services to be delivered in a timely manner, which is the reason we provide same day service at all times. We have been operating for a long time now, continually learning new things and improving our skills. Count on us to handle issues related to classic or new locks and keys. Every call is important to us. Every issue is taken seriously and we place tremendous effort to make sure the problem is resolved. There’s no locksmith concern that’s too difficult for us to handle. We are the experts in this field and we want to have a strong relationship with our customers. Our service cost is reasonable and in accordance, your satisfaction is ensured. Contact us for any of your lock and key concerns and we’ll be there as quick to troubleshoot the problem.